The overwhelming consensus in the media is that Pope Francis has a blind spot when it comes to sexual abuse. He may be on the side of refugees, migrants, the sick, the poor, the indigenous and other marginalized peoples, but he just doesn’t get it when it comes to victims of abuse. The evidence for this assertion is the pope’s unwavering support for the Rev. Juan Barros, whom he appointed bishop of Osorno, Chile, despite accusations from victims that he witnessed and covered up abuse by the Rev. Fernando Karadima, the charismatic priest who in 2011 was found guilty by the Vatican of abusing minors in his upscale Santiago parish. In a leaked letter to the Chilean bishops, Francis defended his January 2015 appointment of Barros to Osorno. Francis acknowledged that the Vatican was so concerned about the crisis in Chile that it planned to ask Barros, who was the bishop for the military, and two other bishops to resign and take a sabbatical. Despite these concerns, Francis appointed Barros anyway. Francis’ defense of Barros has been excessive, accusing his detractors of calumny and being leftist agitators. He said he would not believe the accusations until he was given proof. It is understandable that Pope Francis’ statements yesterday in Santiago, Chile, were a source of great pain for survivors of sexual abuse by clergy or any other perpetrator. Words that convey the message “if you cannot prove your claims then you will not be believed” abandon those who have suffered reprehensible criminal violations of their human dignity and relegate survivors to discredited exile. Francis accepted O’Malley’s criticism and apologized for saying the victims need to show “proof” to be believed. But he continued to say that anyone who made accusations against the bishop without providing evidence was guilty of slander. But O’Malley is right. It is often impossible to produce evidence of crimes that are committed in secrecy. It can often come down to whether you believe the victims. One of the few journalists to come to Francis’ defense is Austen Ivereigh, contributing editor at Crux and author of one of the best biographies of Francis. The fundamental problem is that the church has no process for judging bishops that is transparent and has legitimacy with the public. I would argue that both Barros and the victims deserve their day in court, both in civil court and in ecclesiastical court. Francis is not helping by throwing around accusations of slander and calumny. It is wrong to declare, before the process is completed, that he is convinced the bishop is innocent and his accusers are lying. His job is to see to it that there is a transparent and legitimate process in place to handle such accusations and then get out of the way. To appoint a bishop to a new diocese before his name was cleared was a serious mistake. Francis’ advisers were correct; the bishop should have taken a sabbatical. The bishop may or may not be innocent, but no one will trust a secret process that involves clerics investigating clerics, clerics judging clerics. The past decades have shown that no profession is good at judging its own, whether police, doctors, lawyers, teachers, politicians, government workers, athletes, coaches, entertainers, spies, the military or clergy. Too often colleagues look the other way and don’t want to believe that their friend is guilty. When guilt becomes apparent, there is the temptation to deal with it internally and keep it secret lest the profession suffer. It took too long, but the church now has procedures in place for dealing with abusive priests that involve lay review boards, suspension while an investigation takes place, collecting evidence, hearing from victims and zero tolerance for abusers. It is not a perfect system, and sometimes it is ignored, but at least it exists. There is no similar process for handling accusations against bishops for failing to report and deal with bad priests. 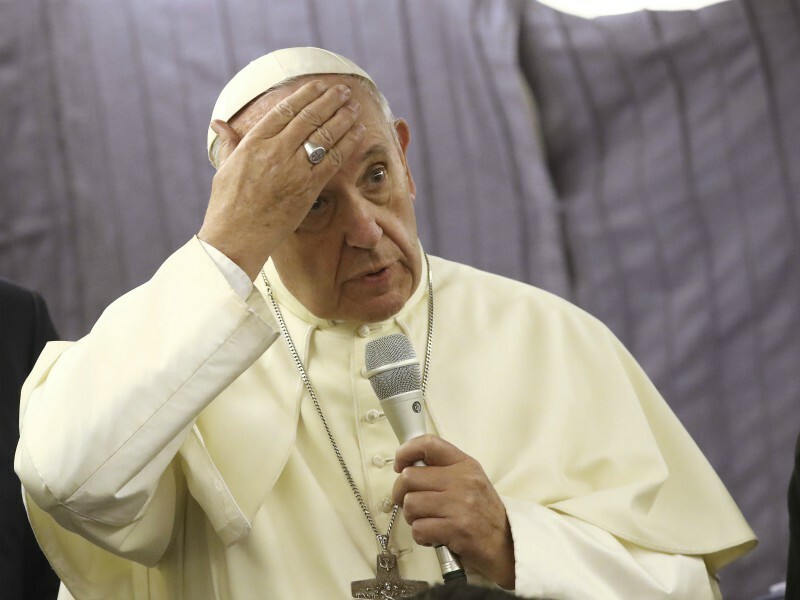 The Pontifical Commission for the Protection of Minors recommended that Francis set up a separate office in the Vatican to deal with bishops who fail to do their job protecting children. At first, he agreed, but then he left the job with the Congregation for Bishops and existing Vatican offices. That was a mistake. The office that creates bishops will never be eager to uncover evidence that the man it helped become a bishop is a failure. The Catholic Church could learn from secular governments on how to structure itself to deal with crimes and cover-ups, especially those that do not come under the jurisdiction of secular authorities. The Vatican needs a department of justice with professional investigators and prosecutors who could deal with sexual abuse and cover-ups, as well as financial corruption, theft and other crimes. A separate judicial system should determine whether the evidence of guilt is convincing. The roles of investigators and judges could appropriately be held by lay women and men. No one should be above the law. It compromises the system when someone like Cardinal Tarcisio Bertone is not called to testify under oath in the case involving the misappropriation of funds to pay for the renovation of his apartment. The status quo is not working. Pope Francis needs to make dramatic changes in the way in which the Vatican investigates crimes, especially those by bishops. Thomas J. Reese, S.J., is a senior analyst for Religion News Service. Previously he was a columnist at The National Catholic Reporter (2015-17) and an associate editor (1978-85) and editor in chief (1998-2005) of America.